Google maps is the best solution in finding locations. 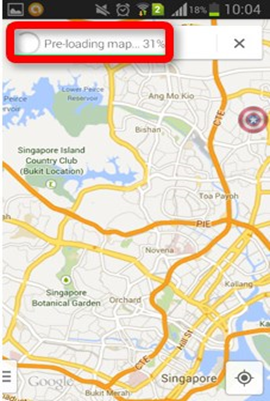 Google Maps can be accessed on ,Iphones,Ipad,Android devices and even on your PC. It can be used both online and offline as we are going to see in this post . Smartphones hogs a lot of resources memory, CPU and the internet the most. The most used apps on the Android device after social media apps and messenger application is the Google Maps. Google Maps has has help me personally to locate places in Countries like Cameroon esepcially in the town of Douala which is disordered with difiicult streets names like Bonakouang. In India today, Almost every business is registered on Google Maps . This is to increase SEO,sales and make location easy to new and existing clients . The Google Maps comes in handy when you’ve lost your track, and there is nobody around to ask for the directions or while you are travelling in a different country altogether. There is a downside of Google Maps that is, it uses a lot of data on the go. 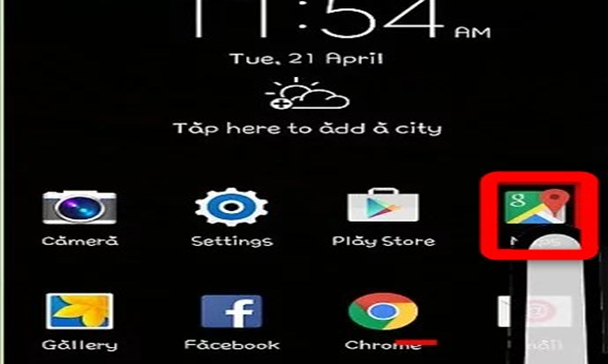 This feature is very important to those who travle to areas where there is no network. Now with the latest versions of the app, you can use almost all the functionalities of the app using offline mode. 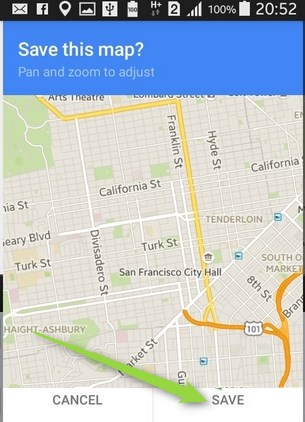 Let us learn how we can use the Google Maps in offline mode. Note- though almost all the features like GPS based location identification, navigation and searching of places that are pre-saved are available. Features like live traffic and sharing your location with friends and family can’t be accessed in the offline mode. 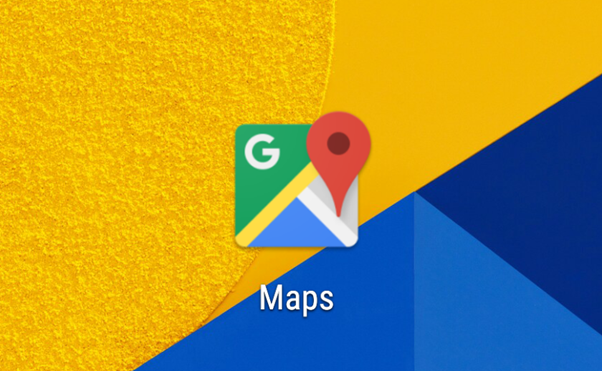 For the offline use of the Google Maps app, you are supposed to download places and save it to your phone’s memory. And this only works for pre-saved locations, meaning that you must be connected to the internet for downloading the offline maps for the location that you want. So, in short, it is merely calling it ‘offline’, you must download the maps before leaving the house. 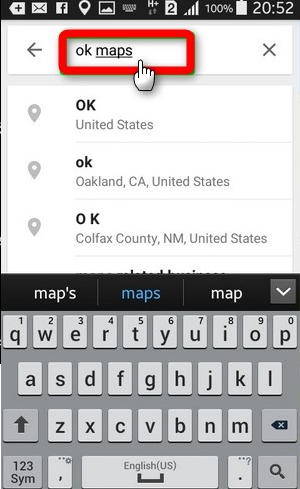 · Open up the Google Maps app. · Find the area for which you want to save the maps for offline use later. 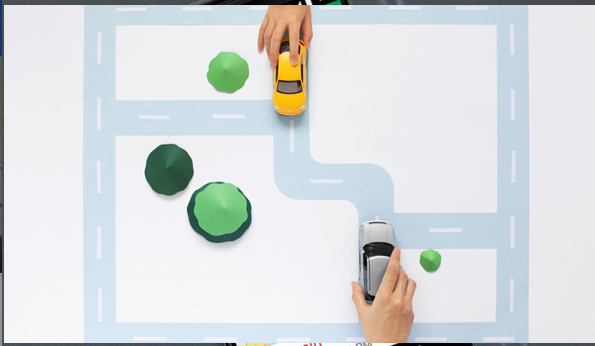 · Navigate to the area of choice and then hover and move around to confirm. · Now tap on the screen, and you’ll be shown with the option to ‘download’ the area. · You can hit the download button to save the map of that location offline. 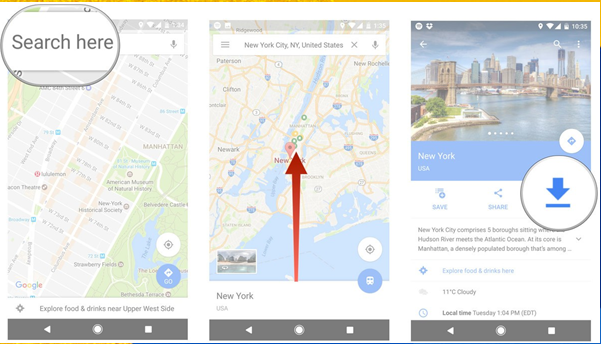 · You can also use the pinch to zoom gesture control on your phone screen while in the Google Maps app and can select the entire city. This way the map layout of the entire city will be downloaded on your Android device memory. · You can save as many cities you want to the offline maps list. 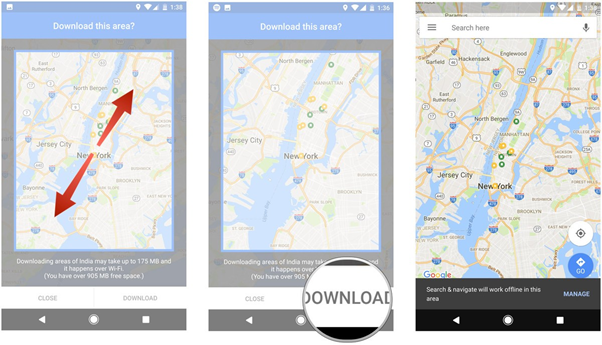 · The only downside of this is that it takes up a lot of space on your Android device memory.You can choose to save the offline maps on the SD card of your Android phone. Simply, go to the Menu button while in the Google Maps app and then Offline areas then settings and then storage preferences. Now you can switch the memory from ‘device’ to SD card’. This will ensure you to store as many offline maps as possible, depending on the storage capacity of your SD card. Also, the offline maps have a validity of just 30 days. After the period of one month, the offline maps that you’ve saved gets expired. You can see the days remaining for expiry in the Google Maps, Offline Maps section. After 30 days, all the offline maps that are saved gets automatically updated.This offline feature involving saving the maps for offline use can only be used while you are on WiFi network because the size of the offline maps that you are going to download can take up, up to 1.5 GB of space which varies from area to area. · After the maps have been downloaded for offline use, you can use them. 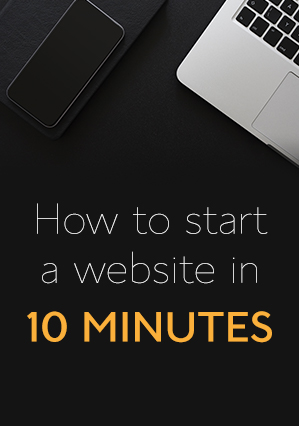 · You can use the basic features like navigation and directions perfectly, but the remaining features that need you to be connected to the internet will not work, as mentioned earlier. As far as the online use of Maps is concerned, we’ve found Google Maps app the best for both the Android and iOS device. The fact that the app supports multiple platforms not only makes it ideal for every phone but also gives a huge hope that the data we are receiving via the Google Maps app is authentic and official. Although, if we talk about the offline maps experience we got with the Google Maps app, it was okayish! There are other apps that work perfectly in the offline mode, and on top of it, you are not supposed to download any offline maps whatsoever. 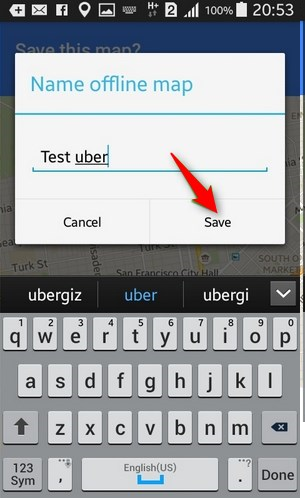 This not only saves a lot of memory on your device but also makes the navigation process faster. One such app is called Here WeGo app. We would recommend you to download the app and then try to compare it with the offline feature of the Google Maps app. 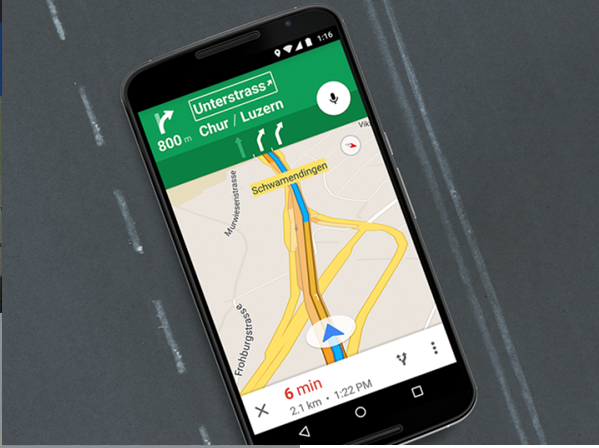 With so many features being offered by the Google Maps app, the offline maps functionality is a plus for all those who somehow loose their mobile signals and still wants to get navigation and direction details. Tell us about your experience with the Google Maps offline feature on your Android and iOS device. Do tell us about any errors that might have popped up while navigating in offline mode.